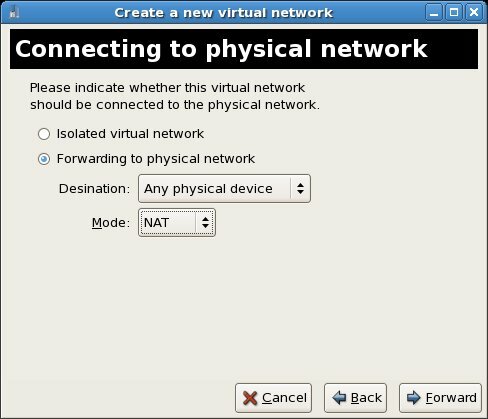 When Xen virtualization is installed on Red Hat Enterprise Linux 5 a single virtual network is created by default. 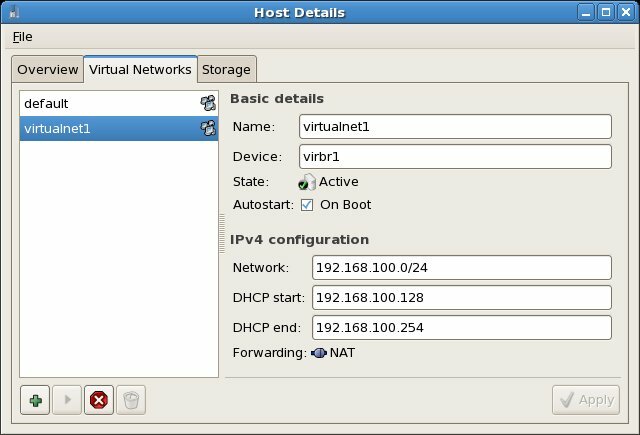 The goal of this chapter is to provide an overview of virtual networks in the context and RHEL and Xen and to explain the steps involved in adding additional virtual networks to the host environment. 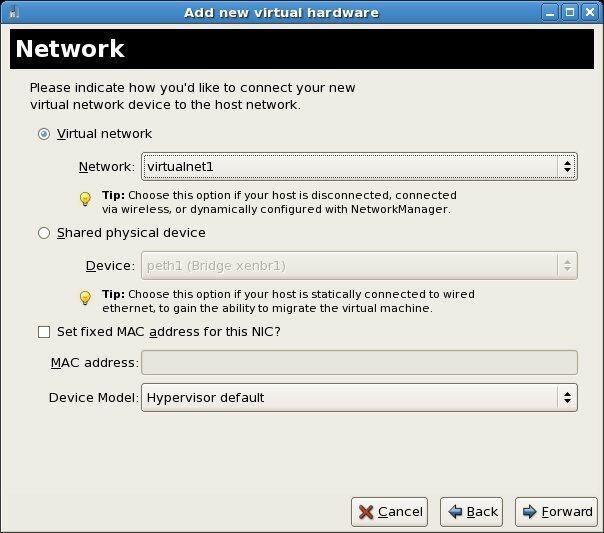 Xen based virtual machines running on a Red Hat Enterprise Linux 5 host are provided two choices in terms of network connectivity. 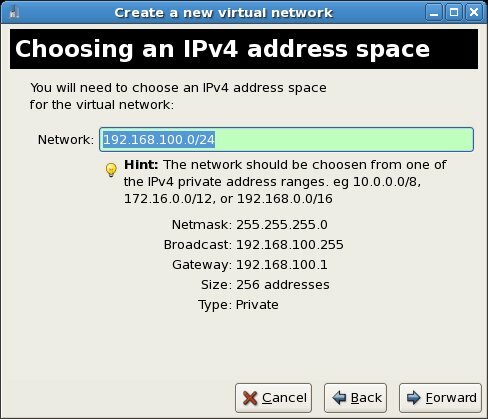 One option is to use a network bridge that essentially allows the guest operating system to share one of the host system’s network connections. This connection option is also referred to as a shared physical device since both the host operating system and guest OS are both utilizing a physical network adaptor to gain network access. By default, Xen creates a single bridge named xenbr1 for this purpose. 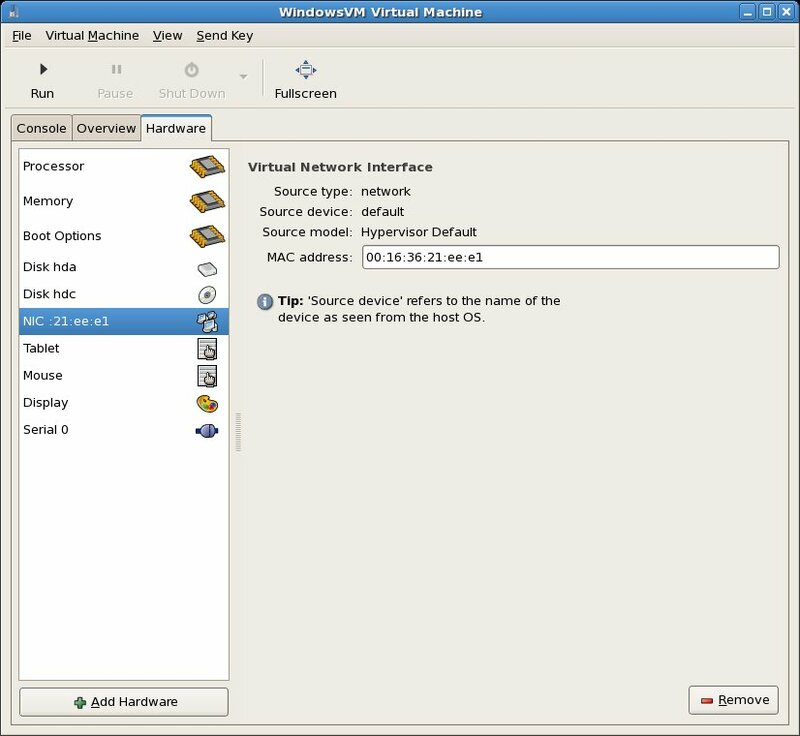 The second option involves connecting the virtual machine to a virtual network. A virtual network is essentially a software based network that runs within the host RHEL 5 operating system. 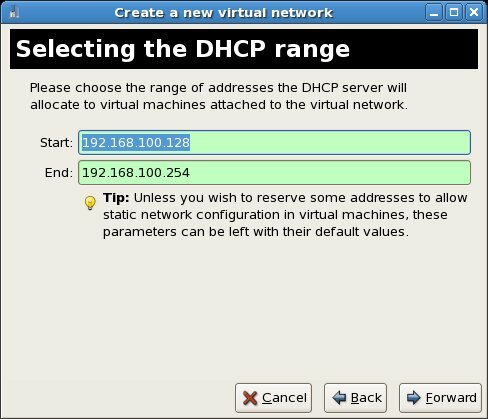 The virtual network has its own range of IP addresses and operates a DHCP server to assign IP addresses to connected virtual machines. 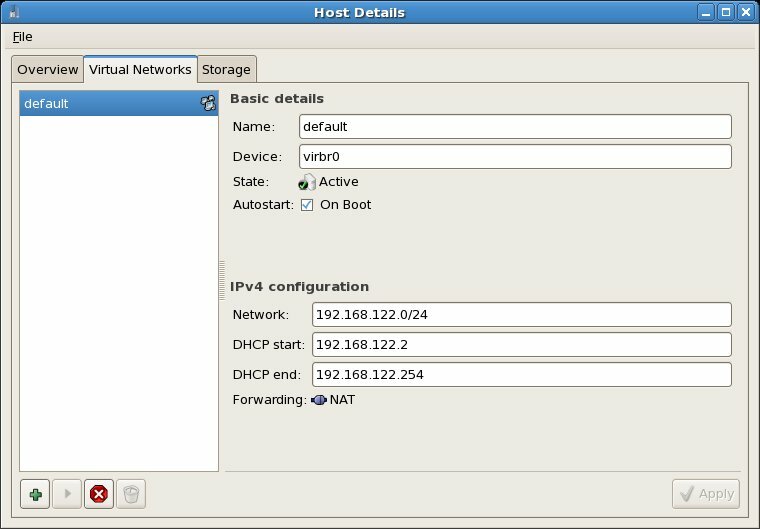 Connection to the external network, if enabled, is typically provided using Network Address Translation (NAT), whereby the guest OS connects using the IP address of the host system. 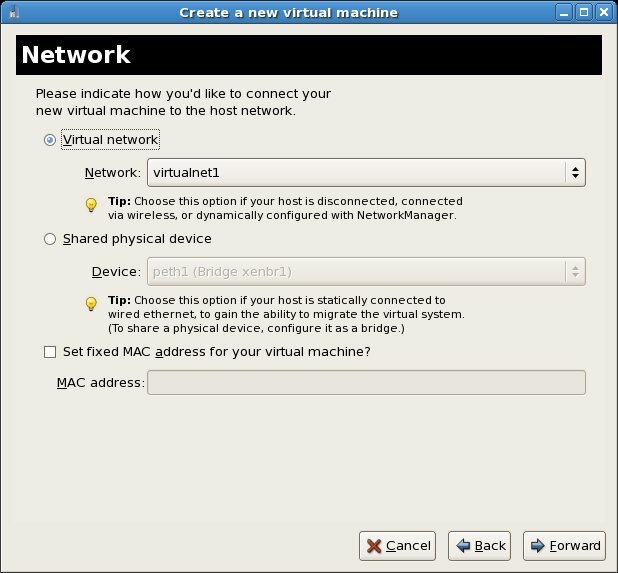 By default a single virtual network is created when Xen is installed on an RHEL 5 system. It is named default and uses a virtual networking device called virbr0.